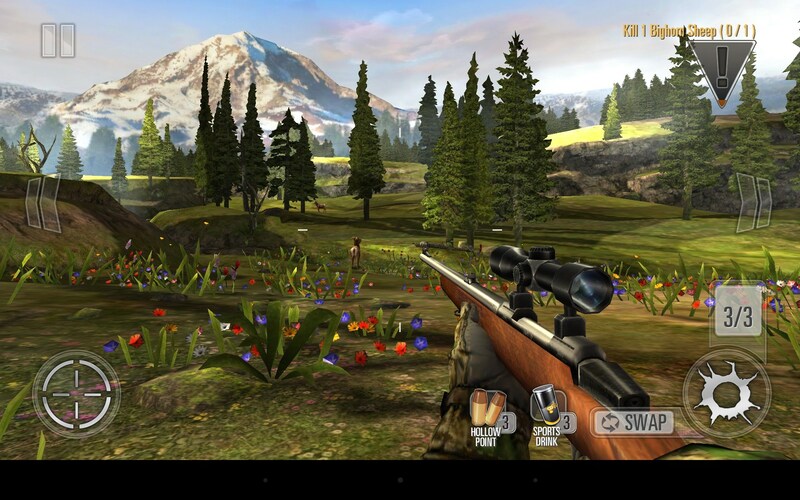 Deer Hunter 2014 – Games for Android 2018 – Free download. 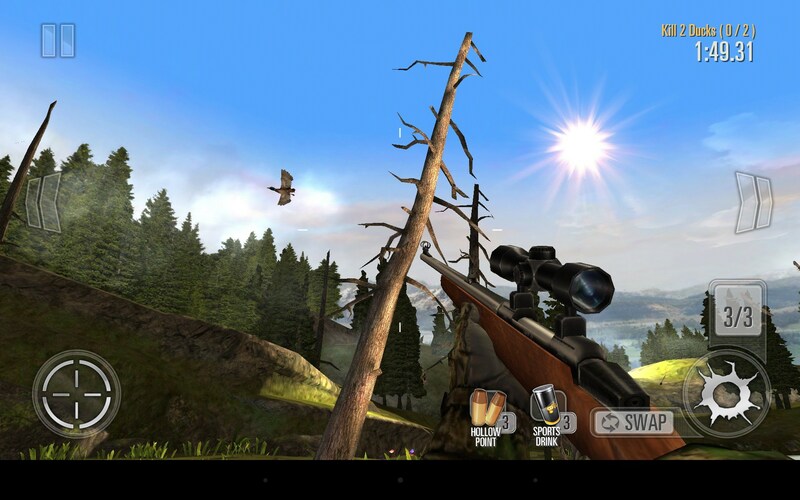 Deer Hunter 2014 – Hunt wild animals. Deer Hunter 2014 - Hunter is an arcade simulator for Android, which is different from a full simulation that here we can not move freely in space and seek out prey. Available to us only a small piece where we can move, as well as greater levels on which we must look out for the animals and shoot them. Development of the game has been well-known all over the studio - GLU. This is not the first game from them on this subject, they are trying to produce annually a similar simulator. Similar games are much in demand, apparently, in the person still remained primitive passion for hunting animals, because play is much more interesting than many shooters. Story of the game is not, we simply execute short single mission. In each mission, we have to kill one or more animals, while constantly changing terrain, time of day, as well as weapons and conditions of the mission that we must abide by. Typical situations - hunting deer, shooting ducks in a search in the woods wolverines. The most interesting job in the game - with predators. Wolves and bears will attack us as soon as they see or hear the shot, also to help them other animals can come out from the pack. 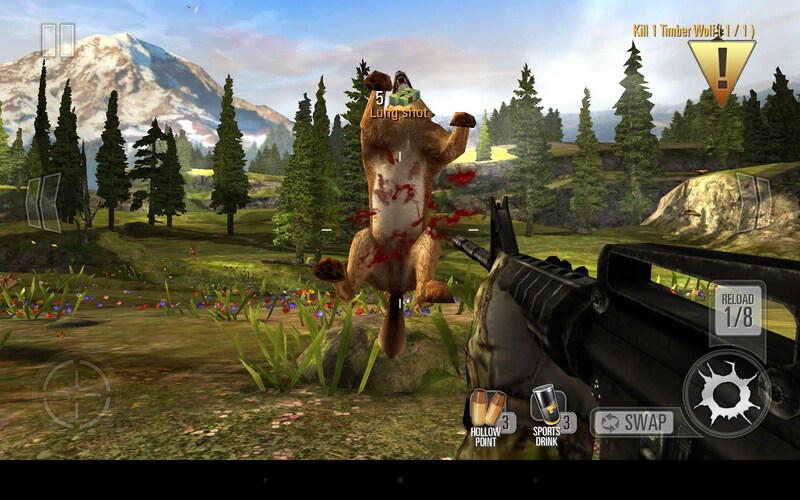 Mechanical Deer Hunter 2014 is good, the system considers entering the head, trunk, neck, legs and other body parts. Of course, getting into the trunk give the minimum number of points, and for getting into the head and legs give bonuses. With the money in the game and you can buy better weapons. It should be done carefully, because some areas are only allowed with certain weapons, as other weapons of power is not enough to accomplish the mission. In the beginning, we give two weapons - a rifle and a shotgun, a little later, it added a machine that must be bought in the learning process. A huge variety of animals. The disadvantages of the game can be attributed intrusive system of in-game purchases, which we begin to teach virtually the first minute. Also, many players complain about the system synchronization server progress through Google. If you are "lucky", you can lose some of its progress, and it is always very unpleasant. Summary. 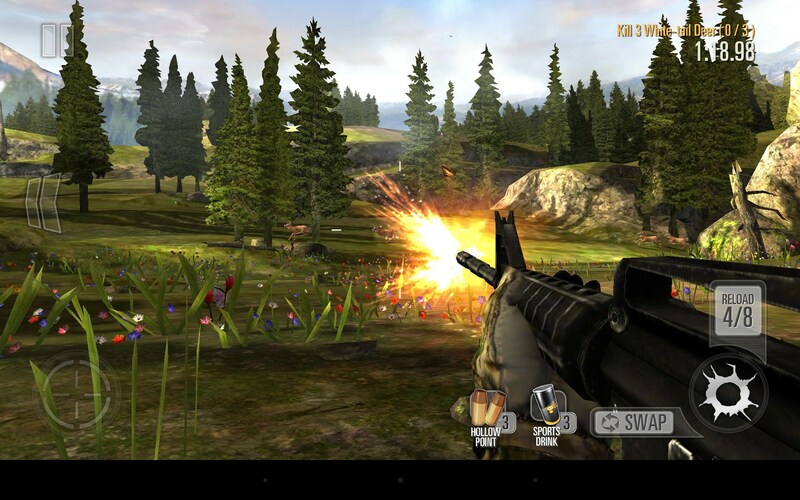 Deer Hunter 2014 - this is an interesting shooter and hunter simulator for Android, which we can call the best in its genre, as other games of this level is not just Google Play. So if you like hunting and beautiful natural scenery, there is just excess. On your PC click the "Free Version" link, found above the review. It will direct you to the appropriate installation page. Make sure you are logged in with the same Google account on both your PC and your Android device and click the "Install" button. As long as you are logged in with the same Google account logged in, when attempting to install remotely from the PC it should indicate if it is compatible with your device. Hello, as i mentioned in my other comment on The Hobbit: Kingdoms, please make sure you have some extra space on your device and use the task manager to clear up some RAM. Please let me know if you still require some assistance. If you delete the app's data then almost all of its content will be reset. There is no way to undo this. 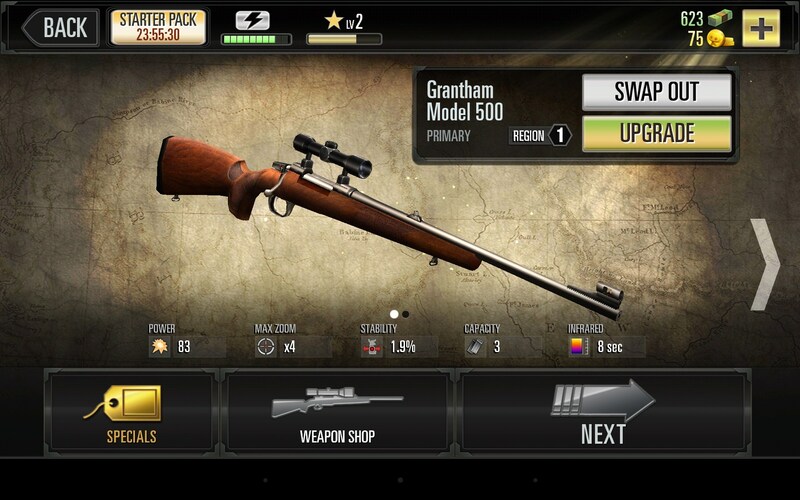 If you have used the in-app purchase system and bought in-game items or currency with real money then it may be possible for you to bring this up with the developers and receive your purchase once more.